Stars & Stripes bottle...24 oz. NEW DESIGN AND ZIPSTREAM CAP! We are proud to offer Polar Sports Bottles made right here in Boulder, CO! For you patriotic athletes/ adventurers/ travelers out there! 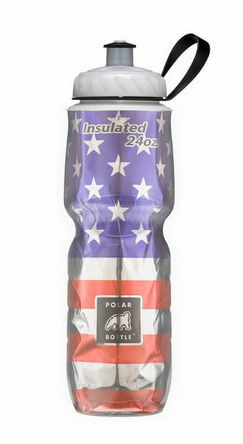 What better way to show your colors than the the lightweight, insulated Polar Bottles in the Stars & Stripes pattern featuring the revolutionary **Zipstream Caps (see below). Available in 20oz and 24oz. sizes. $1 surcharge for 24oz. size. Also be sure to check out the BRAND NEW BIG 42oz Stars & Stripes bottle for those longer workouts or activities where maximum hydration is called for. The Polar Bottle Sport is the original insulated water bottle that keeps your water cold more than twice as long. Lightweight, squeezable and easy to clean, the Polar Bottle Sport is the go-to bottle for adventurers...or anyone around the globe. 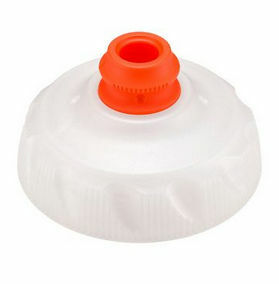 **Our bottles are being offered with the brand new self-sealing Zipstream Caps. These are easier to use and deliver more water. We have been using ours for several weeks and they are extremely effective. 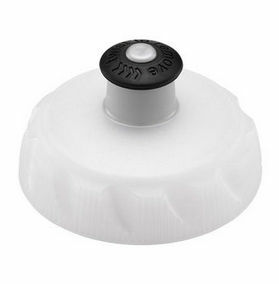 You will receive BOTH the Sport and Zipstream caps with each bottle purchased. We use our Polar Bottles EVERYWHERE; Gym, Crossfit/ OrangeTheory/ HIIT training, running, restaurants, gatherings, travel, yoga. I LOVE this water bottle!! Water stays cold and it's made in my native state, Colorado and it looks awesome! Perfect trio! Great bottles that deliver as promised keeping the water colder for longer periods. Also great looking with star/ stripes pattern. Lots of compliments. And Made in USA--woohoo! Muggies: Beverage/ Can/ Bottle Holder- NEW PATRIOTIC PATTERN! Made in USA.